Making Holes? We have your machine! When you purchase an ironworker from the Cleveland Steel Tool Company, you're really getting several machines in one. All of our ironworkers feature multiple workstations, allowing you to outfit your machine with a variety of optional attachments. This enables you to go from one operation to another without time-consuming tooling changes. Punch, bend, shear, notch and cope—all within minutes! 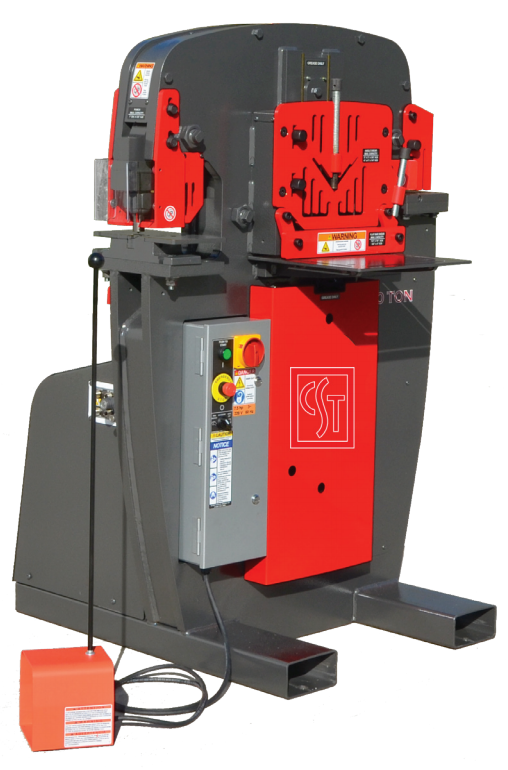 Our Ironworker machines enable you to punch holes from 1/8" diameter up to 4" diameter. With a variety of motors available, both single and three phase, our machines can run on power from 110 to 575 volts. All Cleveland Steel Tool Ironworkers are Made in the USA.